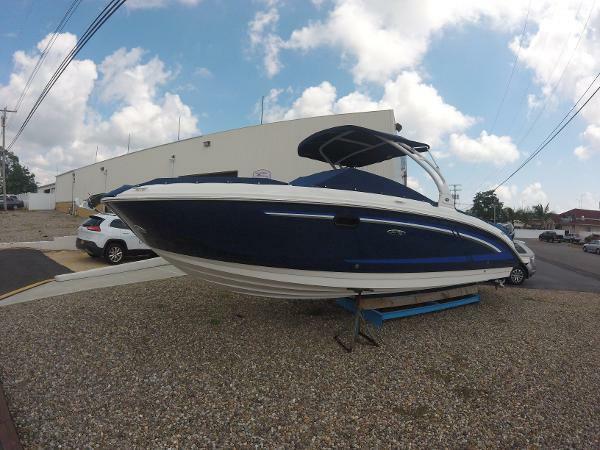 2016 Sea Ray 290 Sundeck Outboard 2016 Sea Ray 290 Sundeck Outboard $145,000. Powered by a pair of Mercury 250 Verados with Joy Stick piloting. Warranty good through 5/2021. 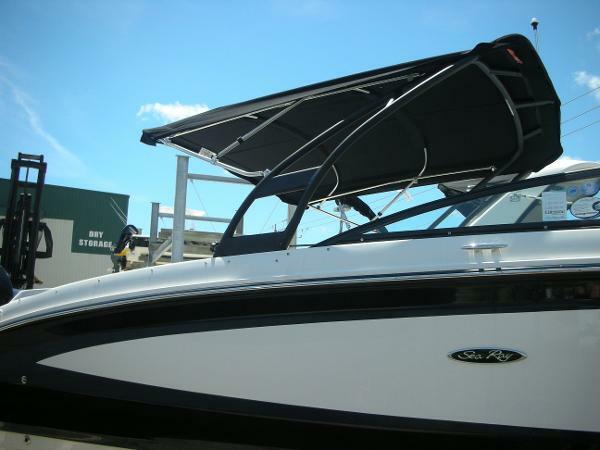 Be the Envy of everyone with this Amazing Boat offering the Axius Docking system, This boat comes Standard with almost everything you could want but the owner wanted it all! 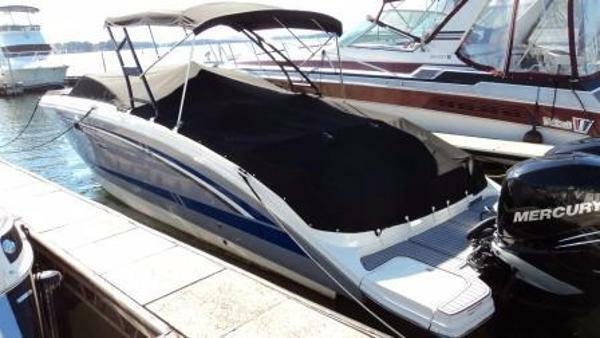 Added options include Axius, Windlass, huge bimini with fold down arch, two tone gel coat, Docking lights, Thru Hull underwater lights, Blue LED lights in cockpit, Black Canvas, vessel view, GPS,Transom stereo remote, cockpit fridge- galley with sink, Infinity woven flooring, Bow and cockpit tables, Vacuum Flush Head, Battery Charger, Flag pole and Sea Dek on Rear platform. 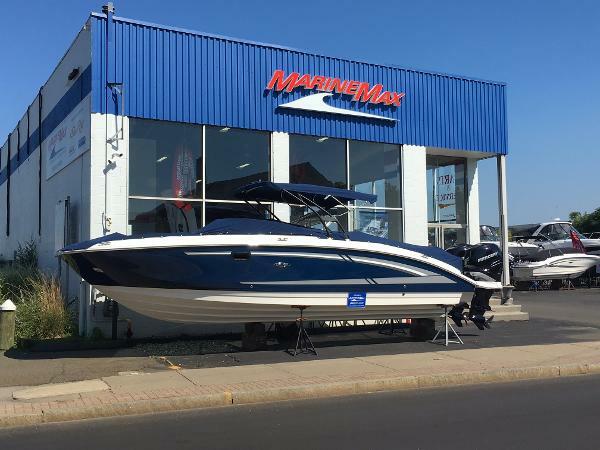 2017 Sea Ray 290 Sundeck Outboard When an active family loves water sports, they generally want to share their good times with friends. That's where the SDX 290 Outboard comes in. 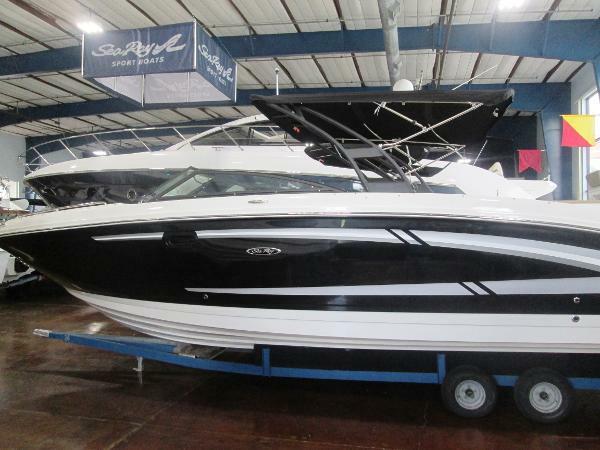 It's destined to be one of the most luxurious deck boats in its class. 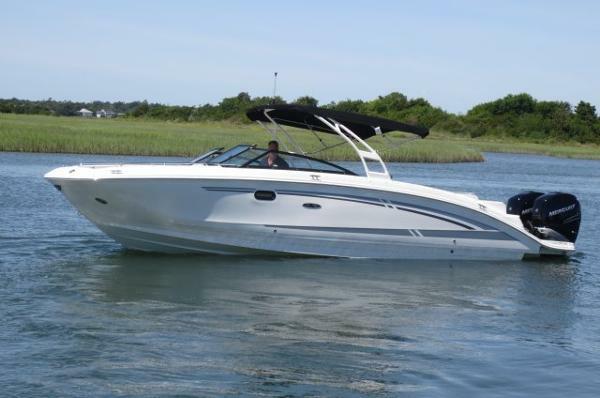 Its deep-V hull and wide "carried-forward" beam let you seat more friends in the oversized bow and huge cockpit, yet maintain a smooth, stable ride and great handling at high speed. 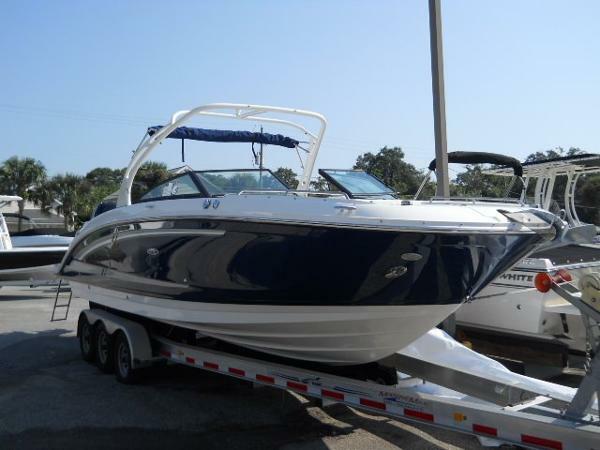 2016 Sea Ray 290 Sundeck Outboard When an active family loves water sports, they generally want to share their good times with friends. That's where the 290 Sundeck Outboard comes in. 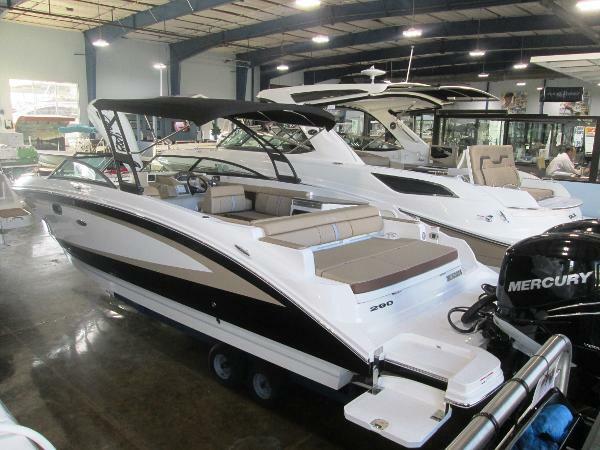 It's destined to be one of the most luxurious deck boats in its class. 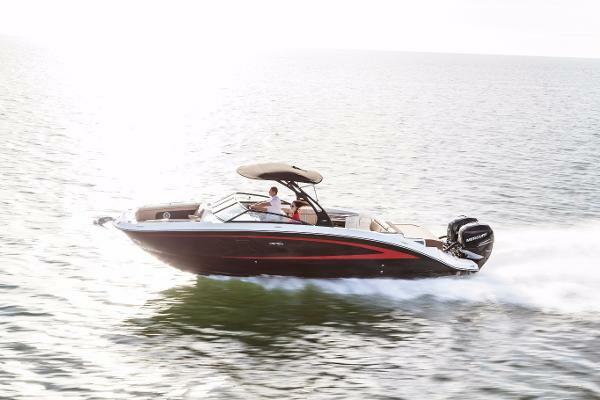 Its deep-V hull and wide "carried-forward" beam let you seat more friends in the oversized bow and huge cockpit, yet maintain a smooth, stable ride and great handling at high speed. 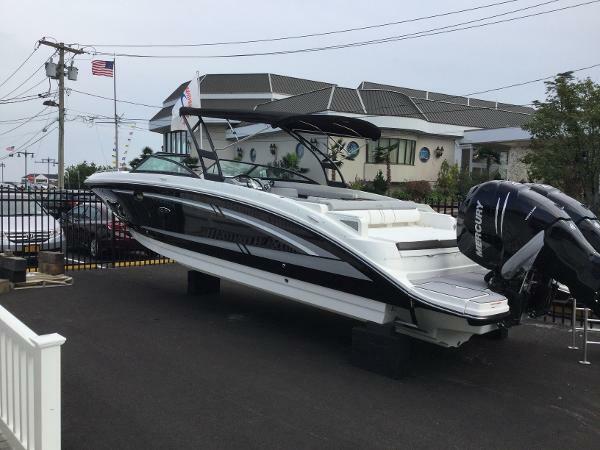 2017 Sea Ray 290 Sundeck Outboard When an active family loves water sports, they generally want to share their good times with friends. That's where the 290 Sundeck Outboard comes in. 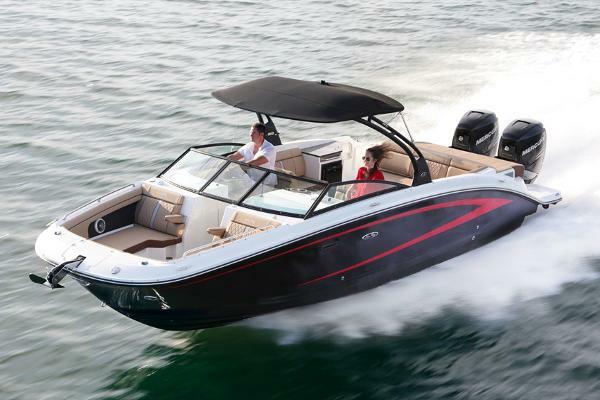 It's destined to be one of the most luxurious deck boats in its class. 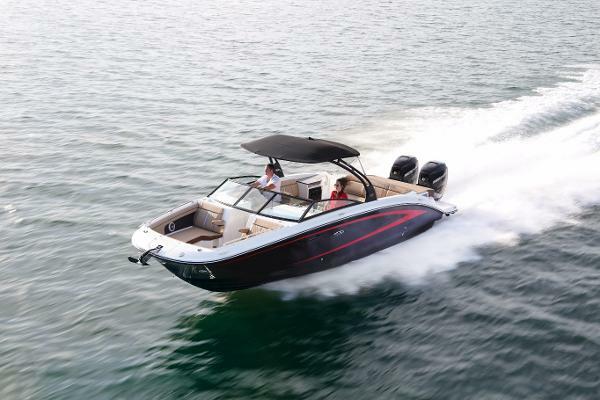 Its deep-V hull and wide "carried-forward" beam let you seat more friends in the oversized bow and huge cockpit, yet maintain a smooth, stable ride and great handling at high speed.